There is no art without poetry, folk poetry, and vice versa. This is the main message of the Hungarian Folk Embassy. Folk Songs to the Era – János Arany …staying alive on the lips of the folks. This is the first album. On February,13. the band will celebrate their five years jubilee and will present the audience their new record at the Uránia – National Film Theater – Budapest jubilee. Ms. Márta Sebestyén – patron who is also involved with the concert along with Péter Blaskó and József Rácz, performers of the National Theater Association. It is no coincidence that even the deepest and most complex themes of János Arany’s poetry are the same purity and formal simplicity as the folk song. This is due to the fact that not only did they draw from them – in some places, accurately marking the source melody – but many of their poems folklorists, fertility affecting peasant poetry. Arany’s as poet pictures appear until the end of the 20th century on the lips of the peasantry again and again, proving that the message of the Golden Lion is always contemporary. 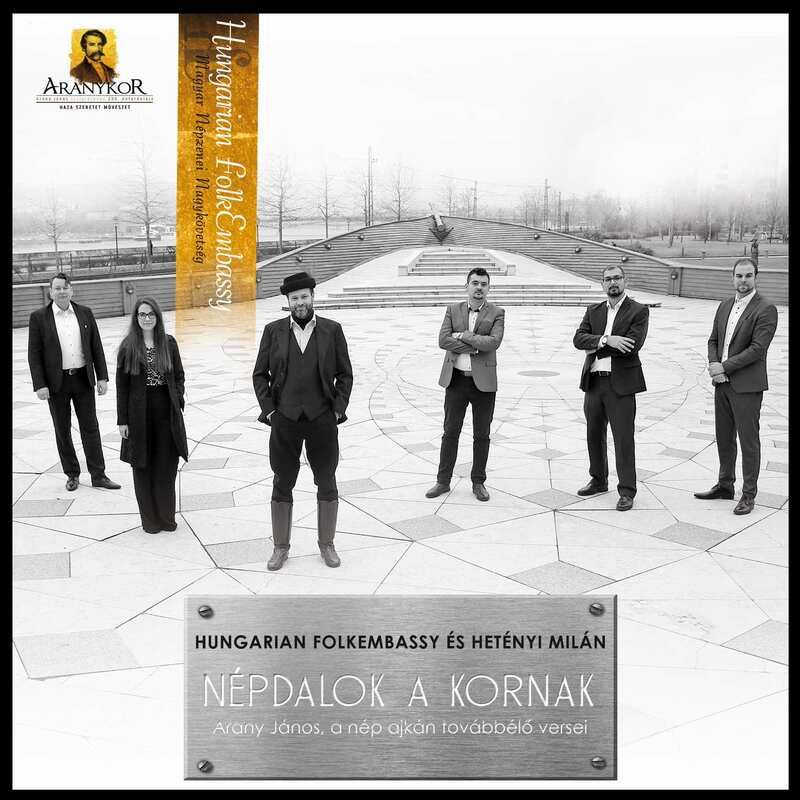 Contributors: Milán Hetényi – singing, András Soós – the first violin, Mihály Rosonczy-Kovács – second violin, Tamás Orsós – alto, Luca Hegedűs – cimbalom, versus, Zoltán Hanusz – double bass. Also: Márta Sebestyén – vocals, Péter Blaskó – poem, prose, József Rácz – poem.